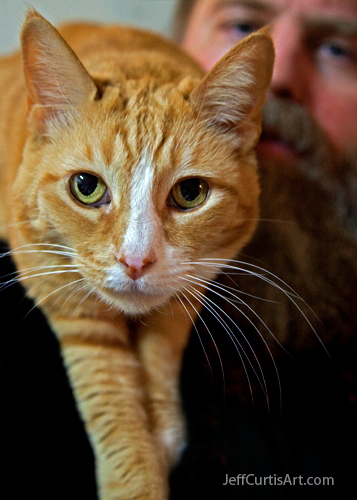 Artist Jeff Curtis, Canon EOS-5d Mark II, Photography I, Portrait Assignment: Shasta and Me! closer look at what I was up to. Taken with the Canon EOS-5D Mark II. 19 years old and is very missed.